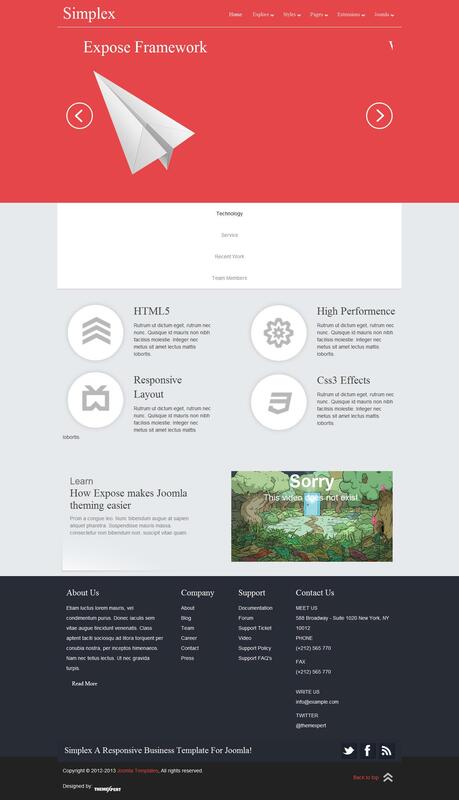 There is a new high-quality template TX Simplex for Joomla 2.5 from the studio ThemeXpert. Great design template includes 6-minded color themes. Also template TX Simplex has built a manager who sets your own themes Expose Style. All this allows you to create sites with a unique look. TX Simplex support components K2 and EasyBlog. Built-functional material and the pattern changes as necessary publish it on the site. A studio Expose framework applies technologies HTML5 and CSS3. Good optimization template TX Simplex providing fast loading pages on the site and supports the management of mobile devices. Xpert Gallery - a new image gallery module, built-in template TX Simplex.